If you’re anything like me, you’d be decked out head-to-toe in something fabulous and sequins for New Year’s Eve. Check out 2014 NYE outfit. I know, I know, New Year’s Eve is overrated and over-priced, however, the way I have been brought up, NYE has always been a huge celebration. So it’s kinda in my blood to go all out. If you know me, I’m not huge on clubs. Been there, done that, over it. I love a good (well-dressed) house party, or a nice dinner, somewhere where sequins is accepted, of course! Which in all honesty, it is NYE, so sequins should be accepted everywhere. I can’t do a house party where everyones in jeans and tees. I mean, it’s a brand new year!! Let’s get excited people! Am I right? Anyways, if you are planning on decking out this NYE, I seriously recommend these gorgggeous outfits I’ve picked out for you guys! 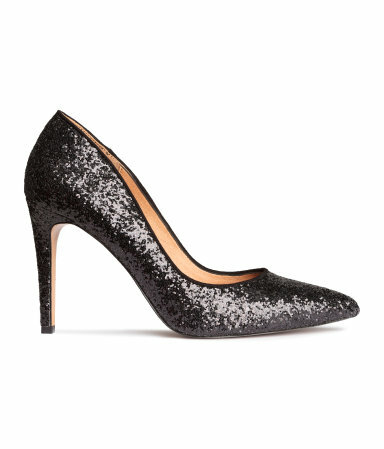 They are super fabulous, and so appropriate for NYE. Saves you from rummaging through the busy stores at the mall. LOVE this black mini, shift dress. It looks so comfy, and perfect for an indoor house party. You can dress this up with some beautiful accessories, or even keep it super casual. The great thing about this dress is that you can wear it anywhere. It’s not just for New Year’s Eve. This black maxi is everything! Perfect for a gala or event. Not so perfect for a house party. But, I mean, I’d wear it. If you want to stay comfy and cozy, this one’s for you! 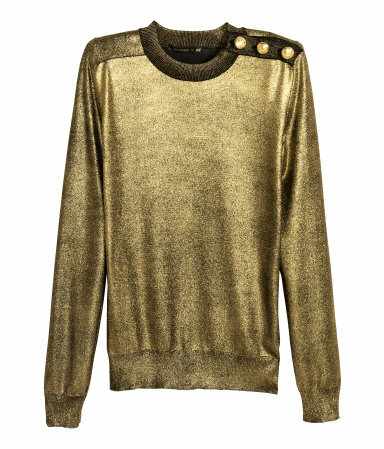 This jumper is so chic and kinda made for NYE. Loving the little gold buttons up top! Another super cozy NYE item is this faux fur coat. Obviously, if you are from Canada, you know how our winters get, and you know that it’s necessary to keep warm. It’s gorgeous little coat wont ruin your outfit. You guys, velvet is making a serious comeback, and I’m so excited about that. I saw quite a bit of it at Toronto Fashion Week, and now I’m seeing it in all the stores. How stunning is this little floral dress? So chic. I would totally rock this for NYE. Gold. Sequins. Trousers. Need I say more? I WANT THESE! Oh wait….I already own a pair of sequins trousers. Ha! For those of you who aren’t daring enough to wear the gold pair, they also have them in black sequins. Anddd there’s this!! Again, kind of a must have right?! 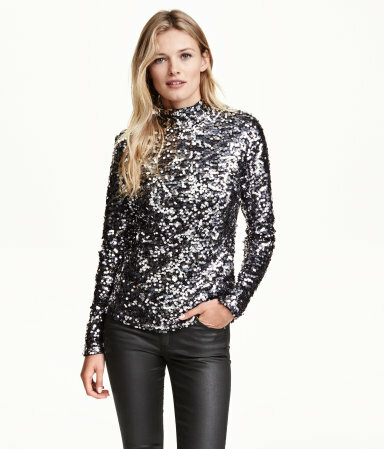 Everyone needs a sequins turtleneck top! All these pieces are making me quite sad that I’m going to be rocking a parka for NYE this year. However, if you know me, you know I’d rock sequins anytime of the year. It really doesn’t need to be NYE. Another velvet stunner!! This beauty also comes in a teal colour and is totally backless! Ugh, so, SO beautiful! Perfect for a gala-type NYE event. And, can also be worn for a fall wedding. Let’s end this blog post with these ridiculously fabulous shoes! I mean, even if you wore the world’s most boring outfit, and had these shoes on, everything would be okay! Just look at them! That’s a wrap on NYE outfits! Seriously guys, TONS of options out there. Send me your suggestions also. I love hearing from you guys. And even though I’ll be working on NYE (in a parka), I’ll still be in full-on NYE spirit! Next Post Cooking With De’Longhi. Love the leather dress and the long silk dress! SO pretty!!!! Great picks!!! Where do you work that you won't have a free night? if that's not to personal. Also, there's new collection in Orsay (if you know that store) – they have the perfect outfits for NYE (http://www.orsay.com/de-de/collection/kleider.html) which are not expensive at all !!! Thanks Honey!! I will definitely check out your blogs! And thanks so much for the recommendation on those NYE outfits. I'll check those out too. I am an events coordinator, and we are hosting a huge NYE event. So unfortunately I wont be all decked out this year!